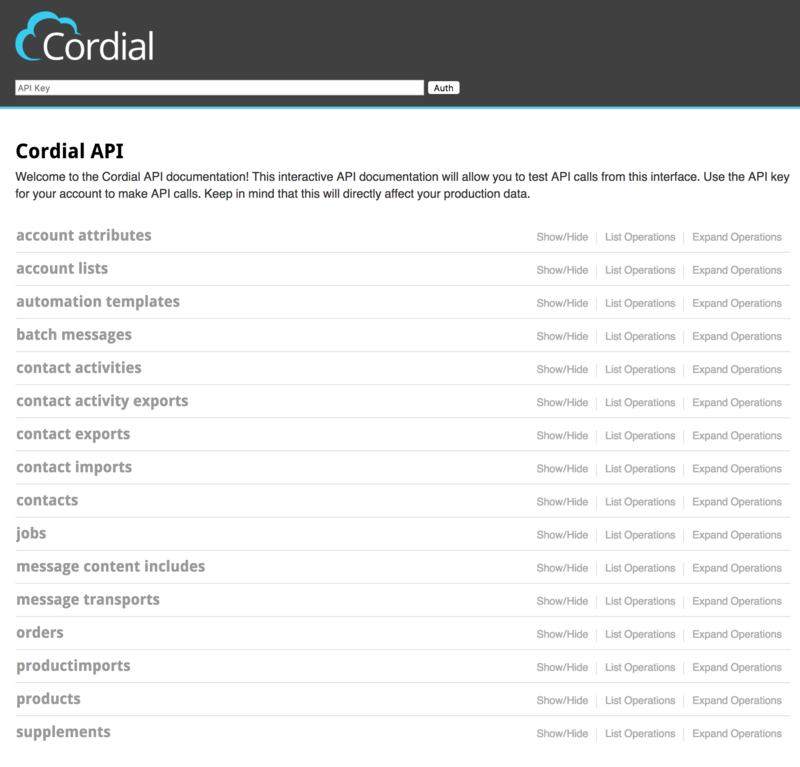 Cordial provides a robust set of REST based APIs for managing data, messages and multiple other facets of the Cordial platform. Using Swagger, it is possible to access and test your APIs as well as access and validate various data assets in your Cordial database. 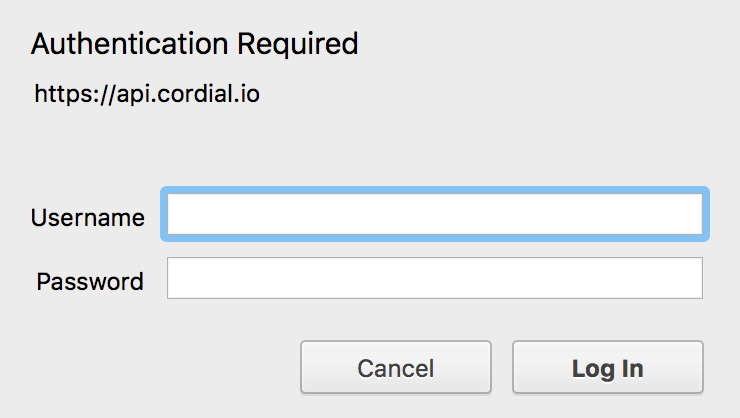 To login to Swagger, you will need your API key created from within Cordial. Learn more about creating API keys. Once an API key is created, authorize Swagger by pasting it into the API field at the top of the page and click Auth. There will be no visual feedback on the initial authorization. Test the API by opening any API call such as GET Contacts and click the button Try It Out. You should see Swagger return the first set of contacts in the response window. If authorization failed, it will prompt you for a user ID and password. Paste your API key into the User Name field, leave the password field blank and click Login.